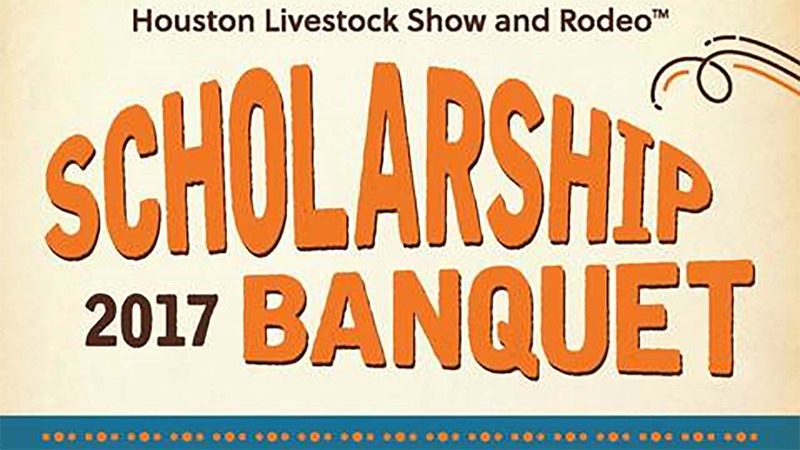 HOUSTON, Texas (KTRK) -- The 2017 Houston Livestock Show and Rodeo Scholarship Banquet is here! Tonight at the NRG Center, more than 400 scholarships will be given out to Houston-area students. * Be a U.S. citizen; permanent residents are not eligible to apply. * Attend a public high school from which you will graduate at mid-term or in the spring of the year in which you seek an award. Students attending Charter Schools rated exemplary or recognized by the Texas Education Agency, were eligible to apply. * Be a resident of the state of Texas. * Plan to attend a Texas college or university and have applied for admission to such an institution. The Show does not fund scholarships to attend out-of-state schools. Even if you plan to attend a school with an "open admissions" policy, you still must have applied at the time application is made. * Meet academic standards for class rank and SAT/ACT scores as stated within the application. No one may apply who has not taken either the SAT or ACT test and who cannot furnish documentation of scores.